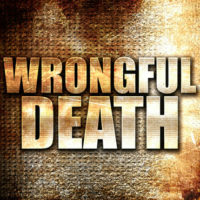 A central tenet in Maryland personal injury law involves the concept of wrongful death. On a larger level, wrongful death and survival actions allow family members to recover compensation for the death of a loved one. To gain a deep appreciation of this legal issue, the following questions and answers will provide an overview of Maryland laws concerning wrongful death. (1) What is the Definition of a Wrongful Death Action? A wrongful death action exists to compensate certain surviving family members for the death of a loved one. This type of action can help surviving family members deal with untimely death, accounting for the loss of wages, support, parental guidance and other related considerations. (2) What is the Definition of a Survival Action? A survival action exists to compensate the deceased person’s estate for their untimely death. This type of action helps surviving family members deal with the economic burden of death, including medical and funeral costs. There is also the possibility of non-economic compensation for the deceased’s pain and suffering. (3) Who Can Bring a Wrongful Death or Survival Action? Only certain people are eligible to bring a wrongful death or survival action in Maryland. The type of rights available depends on the relationship with the deceased individual. Secondary beneficiaries typically include siblings, cousins, aunts and uncles as well as nieces and nephews of the deceased individual. In most cases, primary beneficiaries can file a wrongful death action, survival action or both. Unless there is an absence of primary beneficiaries, second beneficiaries traditionally file a survival action on behalf of the deceased person’s estate. (4) What Damages are Available for a Wrongful Death or Survival Action? Economic damages compensate the surviving family members for measurable harm, including lost wages, medical bills, hospital expenses and funeral costs. Non-economic damages compensate the surviving family members for immeasurable harm, including pain, suffering and loss of support. It is vital to note at this juncture that Maryland employs limits on the amount of non-economic damages available in a wrongful death or survival action. Also referred to as a damages cap, this limit updates each year to account for changing costs. (5) What is the Time Limit for a Wrongful Death or Survival Action? Maryland law establishes a time limit – also known as a statute of limitations – on the ability to file a wrongful death or survival action. Surviving family members have three years from the date of death. The court will usually toss out any request for wrongful death or survival action three years have passed. If you are thinking about filing a wrongful death or survival action, it can be exceedingly useful to retain the services of a proficient Baltimore personal injury lawyer. At Iamele & Iamele, LLP our attorneys are prepared to assist you immediately with your case.